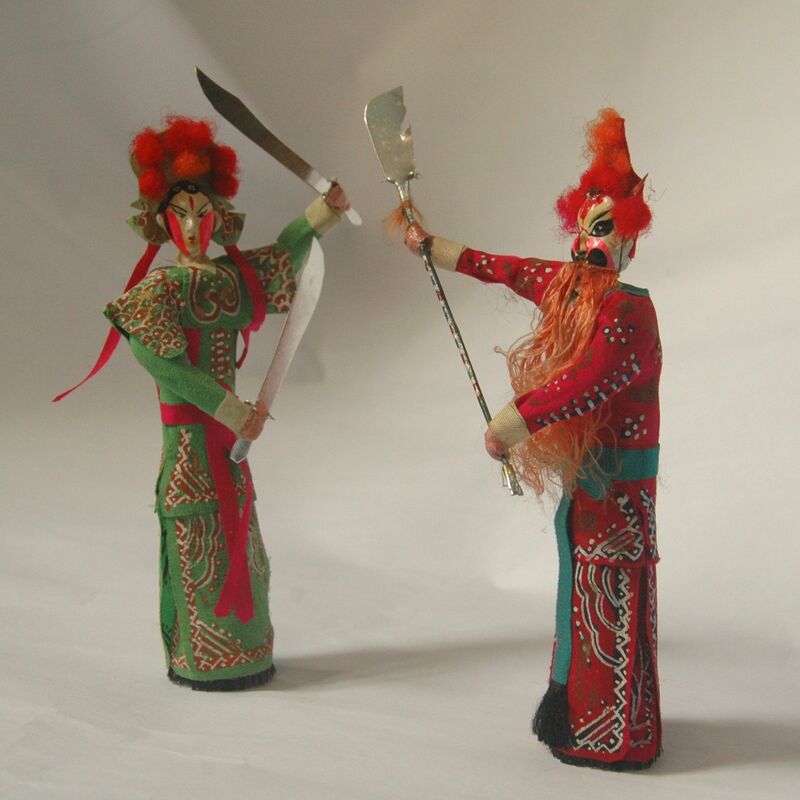 These opera dolls have been a popular toy in Beijing since the Qing dynasty. The head and the base of the doll is made of clay, the structure with the stem of millet covered with a beautifully painted paper. However, the most important construction of the dolls are the 2mm tall bristle at the bottom of the base. They will be played on a bronze tea tray. By tapping lightly on the tray, the figurines would move in a rhythmic fashion just as they would in the beijing opera. Apart from being a toy, they are also used for performance, “bronze tea tray opera”; the required characters for the opera would be put on the tray, matched with real life opera singing.